5th Airborne Custom Wedge for Reese Elite, Signature Series, and Select Plus Fifth Wheels Call 800-298-8924 to order Reese accessories and parts part number SWW-01 or order online at etrailer.com. Free expert support on all Reese products. Guaranteed Lowest Price and Fastest Shipping for 5th Airborne Custom Wedge for Signature and Elite Series, and Select Plus Fifth Wheels. Accessories and Parts reviews from real customers. Speaker 1: Today, we're taking a look at the Fifth Airborne Custom Wedge. This replaces the universal wedge that came with the Sidewinder and Fifth Airborne Sidewinder. This wedge is designed to prevent pivot at the fifth wheel hitch jaws. The custom wedge is designed specifically for the Reese, Drawtight, and Hidden hitch signature series and elite series hitches. Also, works with the Reese, Drawtight, and Hidden hitch select plus hitches, as well as the Reese OEM hitch for Ram towing prep packages.It is made from a durable steel construction. Features a black powder coated finish to keep it protected from rust and corrosion, and it does come with new hardware. Now, if you need installation instructions, you can find those located on this product's product page at etrailer.com, and that'll walk you through the installation process step by step.That's gonna do it for today's look at the Fifth Airborne Custom Wedge. Went on a 10,000 mile trip and this wedge made my life so much EZer. I still love it.e-trailer is the best!! Had a blowout, needed a tire could not find one in any store, we were passing the area on a Sunday no less I was met at the side door with a tire. Since the trailer comes with the Reese Revolution pin box you will need a fixed hitch, not a slider, and a custom wedge to match the hitch. The wedge prevents the trailer from turning at the hitch so that it turns 22 inches further back allowing you to make tight turns without needing a slider. For a hitch that fits directly into the factory prep package on Ford trucks including your 2017 F-350 I recommend the Reese Elite hitch # RP30142. And for a custom wedge use # SWW-01. The Reese Sidewinder, # RP61411, is a fit for your 2011 Keystone Raptor with the Lippert 1116 pin box. It is rated for 19,000 pounds gross trailer weight. And the Sidewinder is compatible with the Elite Series 5th wheel trailer hitch. The Sidewinder comes with a universal wedge but for a custom wedge for the Elite series hitches use # SWW-01. 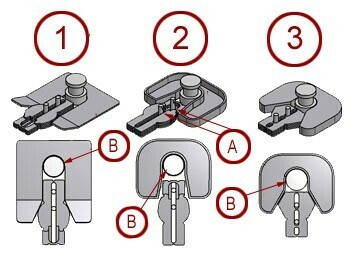 I have included a link to the installation instructions for you and a link to our informational article on Sidewinders for you. Although the # 201100 universal wedge that's included with the Sidewinder will work with Elite Series hitches, the wedge that's specifically designed for them, part # SWW-01 would be a better fit. You can see the installation instructions for the wedge by clicking the provided link. Sidewinder and Reese are both made by the same company so the two work well together regardless of which model you go with. I really like how well the Select Plus part # RP30081 secures to the king pin of the hitch so it would be what i would recommend. The custom fit Sidewinder wedge for this hitch then is the part # SWW-01 which will give you the best fit possible. The Sidewinders come with a Universal Wedge, # 201100, which should work on your Reese 16k trailer hitch. If you have a Reese Elite, Signature Series or Select Plus Fifth Wheel hitch, you can use 5th Airborne Custom Wedge, # SWW-01. I also noticed that you mentioned using the Sidewinder with a slider. While the use of a Slider is not prohibited with a Sidewinder, the slider will need to remain in the locked, towing position when using the Sidewinder. The wedge needed for the Reese OEM 5th Wheel Hitch # RP30160, is # SWW-01. The shipping weight of the Reese OEM 5th Wheel is at 186 lbs. 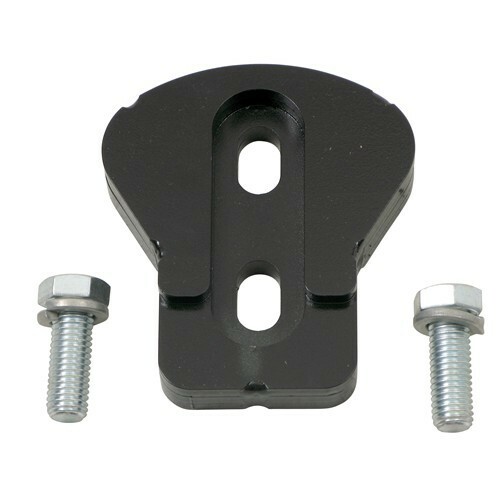 The head of the hitch can be removed from the frame if needed to make it easier to move the hitch around. Are you using the correct wedge part # SWW-01 to attach your Sidewinder to the Reese Select Plus part # RP30081? It sounds like the latch won't close unless you "high pin" it which basically means that the hitch isn't actually connected the trailer. Otherwise the problem could be that the wedge is installed too far forward and is prohibiting the hitch from connecting to it.